Based on the memoir of the same name by Beverly Donofrio, Riding in Cars With Boys is a genuinely compelling story fashioned into a merely competent film. With her first movie in five years, director Penny Marshall pushes all the usual buttons, deftly triggering both laughter and tears, a testament to her technical ability, if not her artistic craft. Drew Barrymore plays Beverly, a working class girl who, by age fifteen, has already mapped out her entire future with meticulous detail. Beverly’s life takes an unpredicted turn after riding in a car with one particular boy, an affable loser named Ray (Steve Zahn). Nine months later, she’s a high school dropout living in public housing with a son she didn’t expect and a husband she didn’t want. Despite these unanticipated setbacks, Beverly remains confident she’ll eventually realize her dream of attending college and becoming a writer. Unsurprisingly, Beverly’s life happens in spite of her as she busies herself making other plans. Although frustrated by a seemingly endless series of failed schemes and missed opportunities, she clings stubbornly to the hopes she’s harbored since childhood. The main story, told in flashback, follows Beverly’s transformation from not-so-innocent teen to single mom. A second storyline sees Beverly and her grown son, Jason (Adam Garcia), on a trip to track down her former husband. Barrymore gives her most nuanced performance to date, demonstrating conflicting feelings of love and regret toward her son. She’s better in the role’s teenage years than as the harried 35 year-old mother of the second story; adding to her difficulty is the fact that she doesn’t look a day older than her 20-year-old “son” despite heavy-duty makeup and a collection of strained mannerisms. As Ray, Zahn offers a more emotionally grounded take on the clueless dolts he’s played in numerous other films. 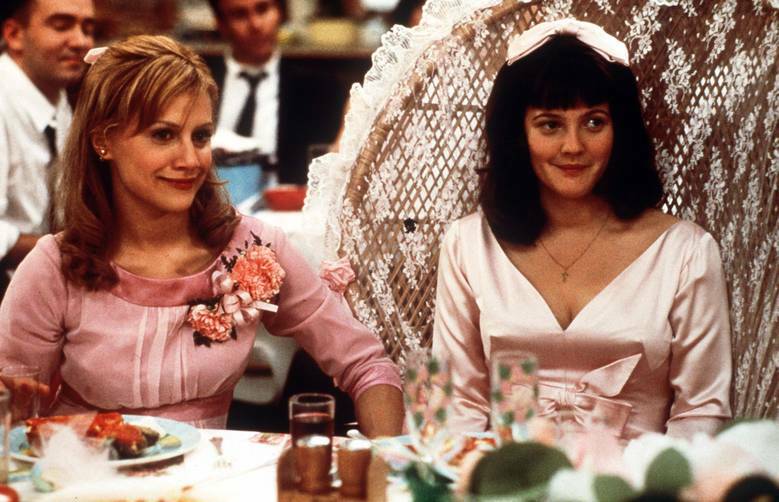 Best of all is Brittany Murphy, who steals every scene she’s in as Beverly’s best friend Fay. With such a superb performance, it’s intriguing to imagine what Murphy might have done with the leading role. Entertaining and, at times, insightful (though a bit long and predictable), Riding in Cars is bound to ring true to anyone who has been a single mother or was raised by one. The story of – as one character puts it – parents and the damage they can do, Riding in Cars illustrates perfectly that while we can’t always get what we want, we usually do end up with exactly what we need. Tags: Criticism, Film Reviews, Gay City News. Bookmark the permalink.